beetle work. 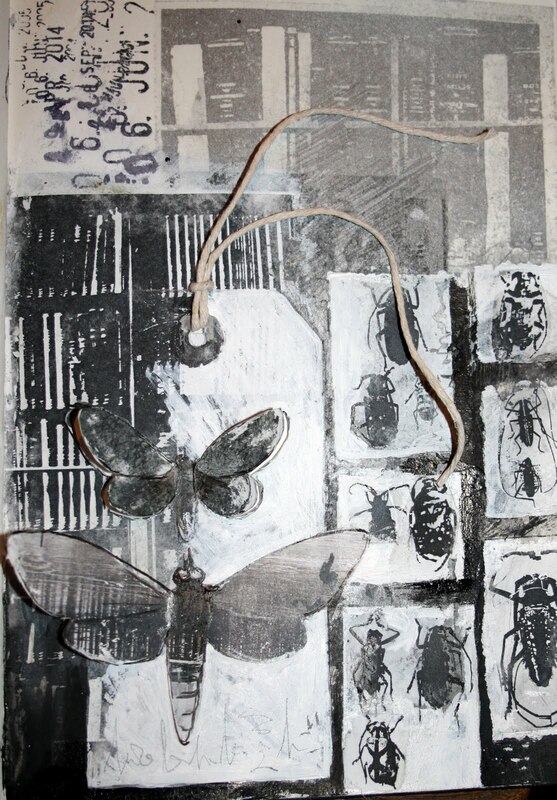 I want to create a homage to the museum collections of insects, particularly the Hope Entomology Collection in the Natural History Museum, Oxford which I am going to take a closer look at later this month. 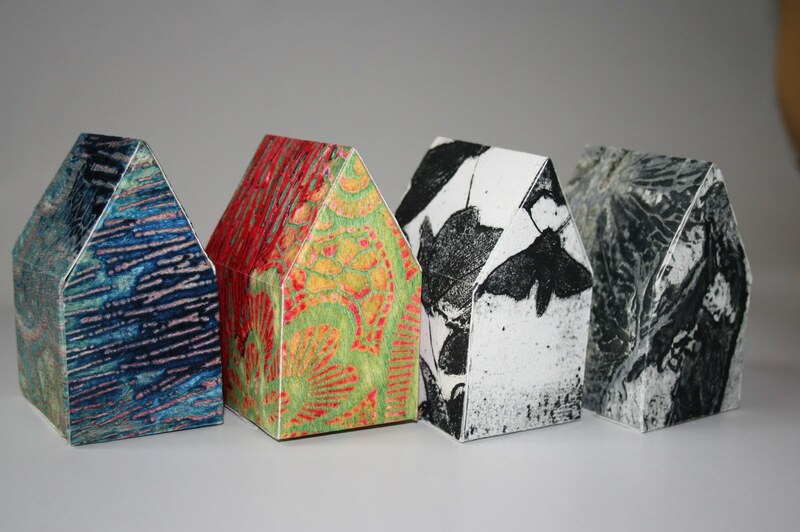 In the meantime the magazine, Cloth.Paper.Scissors has included the moth collagraph house in their readers challenge 'home sweet home' in the Nov/Dec issue. I called it a light house!! Get it? 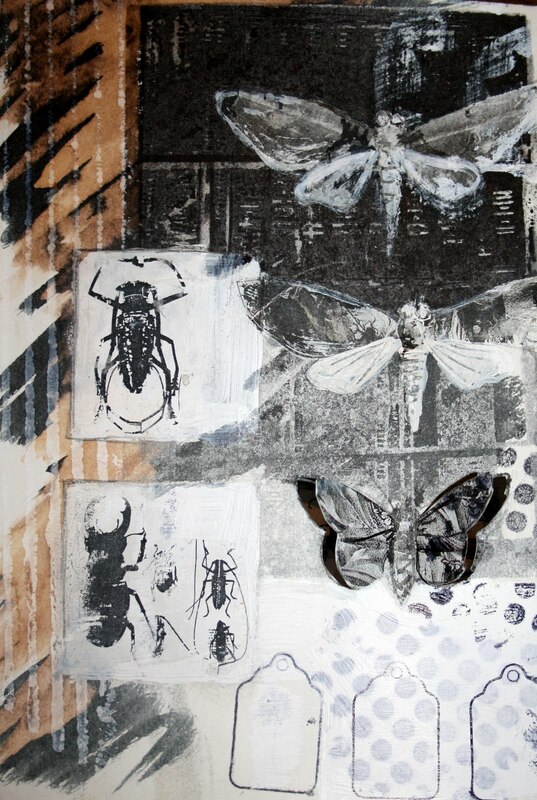 Mmmm moths and a monochrome palette, two of my very favourite things. Love the direction this work is heading in. I always love to see your sketchbook work. Congrats on getting your work included in the CPS magazine.